Each municipality has a different structure and different personnel and job titles handling community engagement. In some municipalities, there is a central person or team who is in charge. However, community engagement is more commonly decentralized, with each department having someone whose role includes an element of community engagement. This is often the result of departments developing community engagement strategies organically and independently over time. Often, this means that each department has their own processes and tools, and while best practices may be shared casually there is no system in place for staff to maximize their efforts. For organizations with multiple decentralized decision-making bodies, a platform such as PlaceSpeak which can facilitate a one-stop shop both for proponents and participants may come in useful. Here are four reasons why PlaceSpeak is uniquely suited to break down the silos between departments in local government. Currently, one department might use SurveyMonkey, while another department might use Google Forms. One department might collect the contact details of participants, while another might not. Other departments might not even have online systems in place! As a result, residents’ experience in providing feedback to local government lacks consistency and can vary widely across departments. For municipalities, establishing clear procedures internally around public engagement creates a more organized and efficient process. Likewise, for the public, engagement processes are openly and transparently stated, and there is a clear expectation on where to go/how to provide feedback or participate. This reduces confusion and makes it easier for people to engage with their local governments. Current public engagement processes which rely on one-off consultations reinforce silos between different departments. Robust privacy laws (correctly) ensure that the personal information (e.g. email address) of participants who take part in one consultation should not be shared with other departments unless they have explicitly agreed to have their information shared. This means that even though a resident had previously participated in a public consultation, another department within the same municipality might not be able to reach out to them to invite them to participate in a different consultation. However, as a third-party platform, PlaceSpeak relies on the network effect. Users only have to sign up once, and gain access to all current and future consultations in their area. Proponents are given the option to notify all residents within the specified geographical boundaries of new public consultations. For example, residents who participate in an online consultation about public transportation are notified of subsequent consultations, whether it is regarding schools or proposed land use changes. Due to cross-pollination, it becomes easier and more cost-effective for municipalities to reach and engage with a larger number of residents with each new public consultation. Once everyone sees the benefits of using the same platform and building a base of engaged residents, you will need to make sure they have all the right permissions. Municipalities can add multiple users within the same organization even though they’re from different departments. 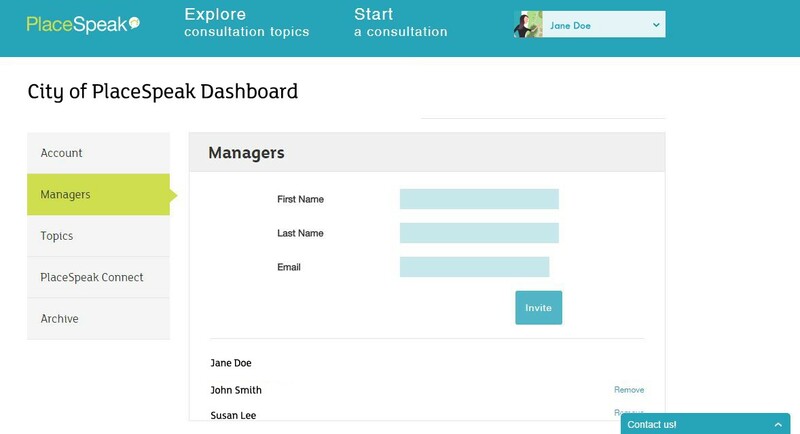 Each user can facilitate and host their own consultations, all under the same umbrella. 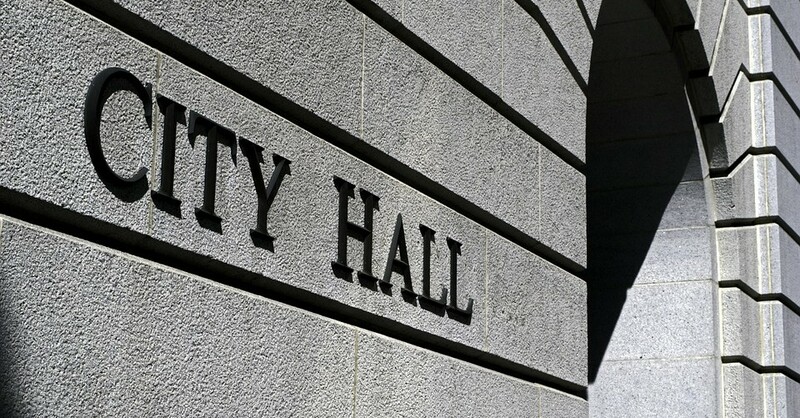 This maintains some of the freedom that departments might be accustomed to when carrying out their own community engagement while still providing a central dashboard or framework for the municipality’s online engagement processes. It is commonly known that the lower cost of operations is a key benefit of online engagement. For example, in-person activities such as forums, public meetings, and other events can easily run thousands of dollars each, including the cost of staff time, consultants, facilitators, and more. 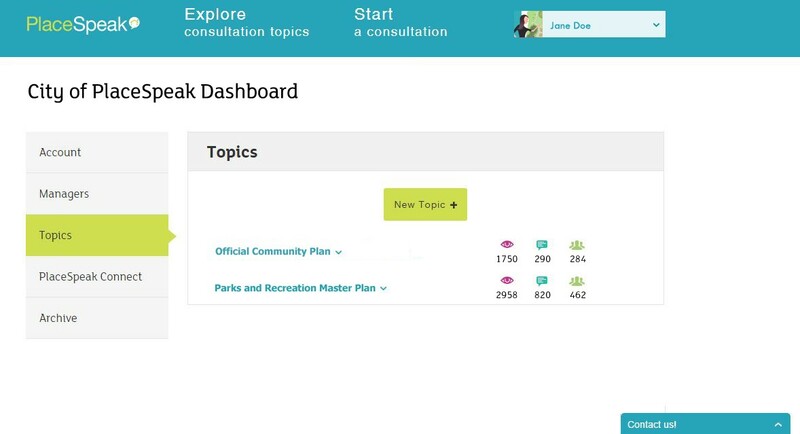 For a municipality with multiple departments, all of which are seeking to conduct online engagement activities, PlaceSpeak’s Enterprise subscription is a simple and cost-effective solution. An Enterprise subscription allows organizations to host an unlimited number of consultation topics over the course of a year for one flat rate. From Finance to Parks, departments within the same municipality can all make use of the same subscription to engage with the public. Contact us for a quote for your municipality.